One question that I get asked a lot about parenting is “How do you do it?” My answer is simple. “I have no clue.” The fact is that I don’t have a clue. I am convinced that when God called me to the realm of parenting – especialy parenting three children who are all one year apart – He knew that I would need Him more than ever. There was probably a time in my life where I would try to do it all and take credit for it all, but I’m here to tell you that the absolutely only way I can do anything in my life – including parenting three teens – I do with God’s grace, mercy, and guidance. I’ve written here about some of our challenges and how God has definitely used them to make me not only a better parent but a better person in general. This year alone, we joined a new church, I got a new job, I rediscovered a passion that I allowed to lie dormant for almost 20 years, and our family re-joined the world of homeschooling again. While I am glad I followed God’s direction on all of these things, I can tell you hasn’t been easy. Part of that is because sometimes I’m not the most obedient follower of the guidance of the Holy Spirit. I know – don’t judge me. Y’all. Life with three teenagers can be amazing and fun and exhilarating. They are busy and bustling with energy, and of course, there’s always something going on. Routines are beautiful, but just when we get settled into a new one, things change. Basketball practice is rescheduled, study group session times have changed, and SAT and ACT registration dates conflict with what we put on the family calendar. @twillisbestshot I’m expecting my first baby next spring. I am so nervous and I don’t know what to expect. 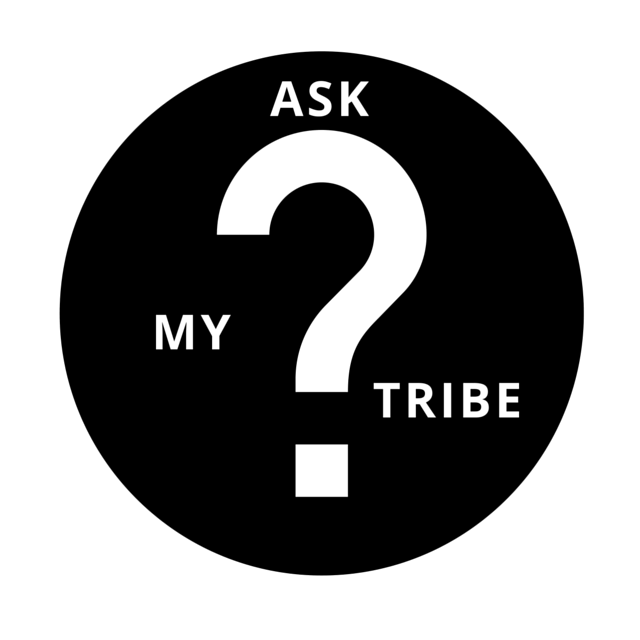 Does your tribe have any advice for me? You’re going to screw up your kid in some way. Accept that and just do your best. — K.G. Breastfeeding if at all possible and if you are unable to don’t feel like you failed you still have 18 years plus years to be awesome. — C.S. Pray, Cry, Pray, Cry, laugh, protect, values, Teach, love, pray, respect, pray, and love… — F.S. Don’t lose yourself. — K.M. Accept all help and don’t be afraid to ask for help. Especially in areas of breastfeeding (it is the hardest but most rewarding thing I’ve ever done in my life! But it took more work than I ever imagined and having a IBCLC counselor out to my house and on speed dial.) and accept all help around the house. I wish I would have done more of that instead of just felt like I was drowning in “chores” with babies to tend to. — E.T. Understand that it’s the best job ever. — L.D. Sleep when the baby sleeps. — C.S. There is no perfect mom. You are doing it right no matter what others have to say. — E.M.
Best advice I ever received was to enjoy EVERY moment because it goes so quickly! — K.A. There is no such thing as perfect parenting practices. Pray and enjoy every moment, the good and the no so good ones. — L.J. In blogger language, your audience of readers is called your tribe. My audience is mostly women who are moms from the ages of 30-50. In my nine years of blogging, I have found that I learn as much from my readers as they learn from me. Simply put, they are very smart women! Do you have a question about parenting? Are you stumped on an issue that just baffles you? Send it to me at twillisbestshot@gmail.com or on Twitter to @twillisbestshot. I’ll read it, think about the best way to answer it, and most importantly, I’ll ask my tribe. You’ll get a variety of non-judgemental responses that will help you inform, then act appropriately. All names will reman anonymous! Remember, we aren’t meant to navigate this journey alone — and chances are, if you have the question, at least 5 more moms right here are dealing with the same issue. What would you like me to ask my tribe? Sometimes I meet people and hear stories that make me realize I was one step away. One step away from making the wrong decision, one step away from being caught for making the wrong decision, and one step away for giving my kids the life they deserve. I had the pleasure of attending the Texas Offenders Reentry Initiative (T.O.R.I.) Graduation at the Potter’s House in Dallas this weekend. TORI is a program of the Metroplex Economic Development Corporation (MEDC), a non-profit organization founded by Bishop T.D. Jakes to bridge economic voids in urban America. Through enrollment in the T.O.R.I. program, ex-offenders participate in a 12-month case management program that focuses on key areas of rehabilitation and was an outgrowth of The Potter’s House Prison Ministry. A lot of the graduates of the program this year are mothers. Just like me. And they have kids that are the same ages as I do. And you know what else? Some of the crimes they committed were because they were trying to provide a better life in spite of health issues, divorce, poverty, and any of life’s obstacles. And as you know, we’ve seen our share of health issues and divorce issues, and life issues. And I’ve made some bad decisions. And I’ve almost made some worse decisions. Which puts me one step away. I can’t help but reflect and think about what the outcome could have been. If that wasn’t enough to call my attention to the issue of incarceration and rehabilitation in our society, I have to think about the decisions that my children will one day be forced with. The statistics are there….especially for those of young African American males who come from divorced families. Bishop T.D. Jakes says, “Because of T.O.R.I., our graduates have gone from pathology of bad choices and decisions to a positive outcome.” For me, because of my witnessing the T.O.R.I. graduation I have gone from living and merely existing every day to living intentionally. And the decision to live intentionally is the best decision I could ever make.